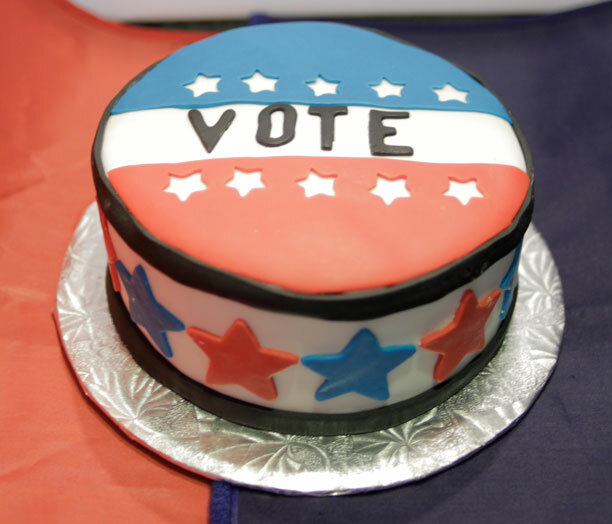 We hosted a debate watching party the other day and I figured that was the perfect opportunity to make a cake for people to enjoy. I wanted to go non-partisan so I went with the iconic VOTE button. This was probably my fastest assembled cake ever. It helped that I had a clear idea of what I wanted to do. 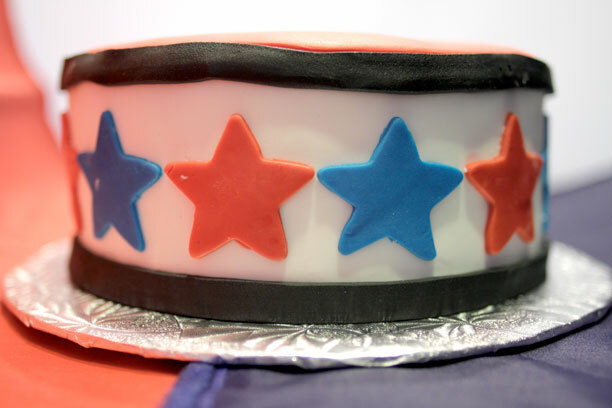 I used white fondant for a base and decorated with red, blue and black fondant. This gave me a great opportunity to break out my new star cutters. For the black ribbon around the edges, I used a clay extruder which gave me a nice, even ribbon. The cake is vanilla cake with salted caramel buttercream.